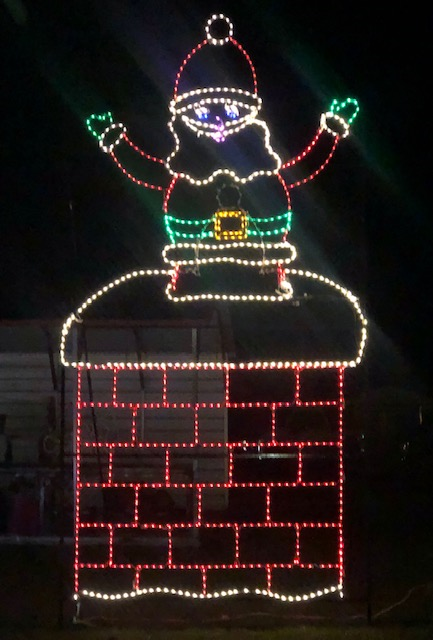 15' Tall Santa going down Chimney! This large and colorful display would be a great addition to any commercial, drive thru Christmas display. 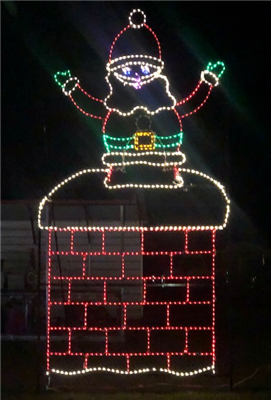 Measures 15' Tall and 8' Wide and it animated where Santa Claus goes down Chimney and Top of his hat shows. Great way to show your holiday spirit. Our commercial displays are made to order.